So, you finally got your hands on that elusive Asus Transformer Prime with its lovely quad-core Tegra 3 SoC, and now you want to take advantage of all of its computing and graphical prowess. If you've already tried doing so, we guess you have found out how difficult it is to discover those apps that are actually capable of using the immense power of NVIDIA's new chip. Of course, that is to be expected, having in mind that the Transformer Prime is still the only quad-core/Tegra 3 device on the market. When more phones/tablets with four cores start to come out, developers will also follow and look into producing such content, but until then the harsh reality is that we're left with only a handful of titles to enjoy. Most of the games that you'll see in the gallery below are also available for other devices, however, as you'll notice, the graphics of their Tegra 3-optimized versions are much prettier than what you'll observe with a standard dual-core phone/tablet. So, while we're all waiting for the new quad-core-powered games to come out, why don't you take that future-proof Transformer Prime of yours and enjoy the titles below right now! The Tegra 3-optimized version of Shadowgun is simply breathtaking. Our personal opinion is that this is the best-looking 3D game for mobile devices ever made. Not only does it utilize the great capabilities of the Unity engine, but the devs from Madfinger Games have added tons of special effects to the title in order to make the experience so much more entertaining. With its particle effects, rag-doll physics, better shaders and what not, Shadowgun THD is the closest you can get to console-level gaming. This water-racing game has gained extreme popularity due to being one of the very first titles to take advantage of the quad-core Tegra 3 processor. Sure, the game looks awesome even in its standard version, but if you have a Tegra 3 device, this means you'll also enjoy some very realistic water looks and physics, splashes and blurring effects. From the same dudes who brought you Riptide GP, Vector Unit, Shine Runner is another great-looking water-racing game. However, this time the gameplay is very different, as what you have to do is not race against opponents, but destroy the environment and collect various goods. With the quad-core version of Shine Runner, we're once again enjoying those realistic boat physics, cool-looking water, splashes and so on. This title is actually more of a Tegra 3 tech demo than a full-featured game, but that doesn't mean that you won't have a lot of fun time with it. In Glawball, you control a glowing ball, exploring some high-detailed and exotically-lit environments. Thankfully, there are also certain elements that you can interact with, making this thing actually playable. Right now, there is a single "Carnival" level, but NVIDIA has promised to update it with a beautiful "Sea Floor" level as well (featured in the video). In this bonus round, we're bringing this quad-core-optimized panorama app to your attention. It's not a game (obviously), but due to the lack of such titles currently, we decided to show you this one. So, um, in case you want to see what a Tegra 3-powered panorama application looks like, Photaf THD Panorama Pro is you best (and only) option right now. 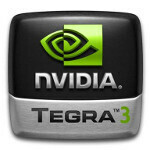 Note: In case you know of some other Tegra 3-optimized game, please let us know in the comments below and we'll add it to the post! so, it means buying galaxy s3 for only 4 games. I will stick with my s2 which can play everything. the s3 will still be able to play all the other games,by using only 2 cores, but these particular games can support up to 4 cores at the same time. actually what's wrong with s2 it can do anything. why you want another version if you can do anything with a cheaper phone. but will your S2 be able to play these games? not.. you can be stupid, but don't be this stupid.. I know this may sound like a shocker: people don't just want the SIII because it's going to have a quad-core processor (although it is still not fully confirmed that it will have a quad-core processor and not a dual-core A15 one). There are other reasons to want the SIII such as the 4.7-4.8 inch HD screen, 12 MP camera, etc. And also these games were for the Tegra 3 processor, just like last year when the Tegra 2 came out and nVidia released games for that. Once other quad-core devices are released, you will start to see more games coming out that will say "quad-core optimized". HTC One X, here I come!